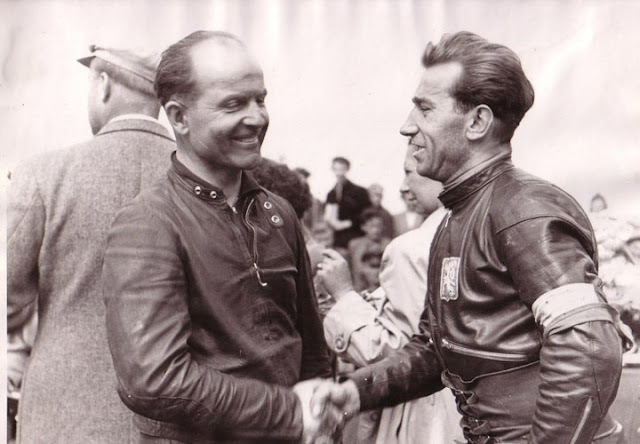 Rudi Knees was born Rudolph Knees in Konigsberg, East Prussia in 1907 and before WWII was a works NSU rider. 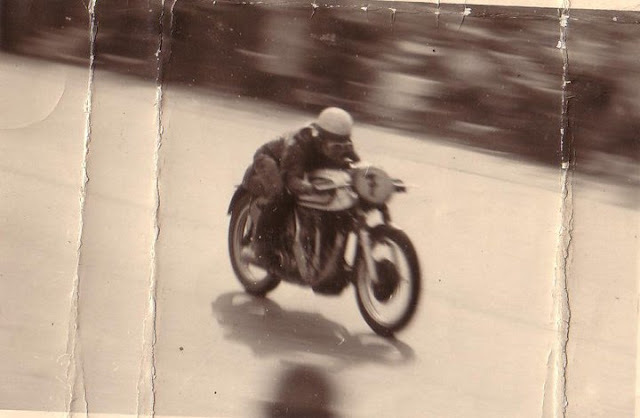 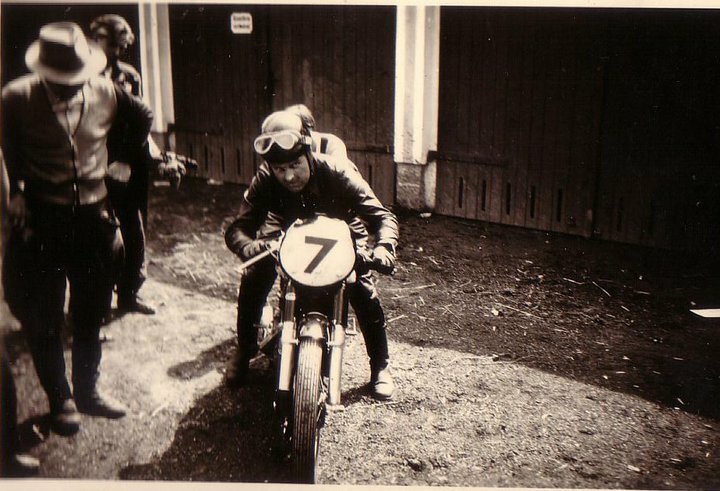 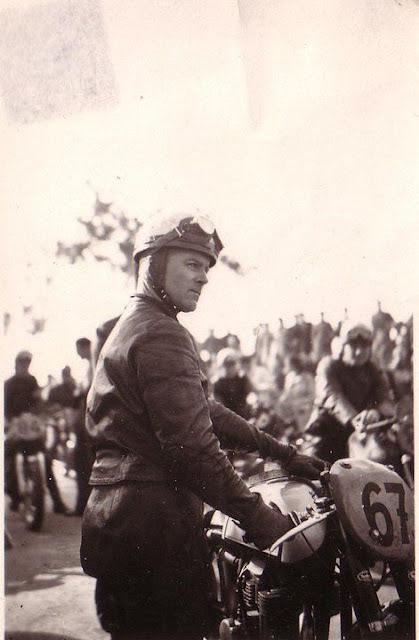 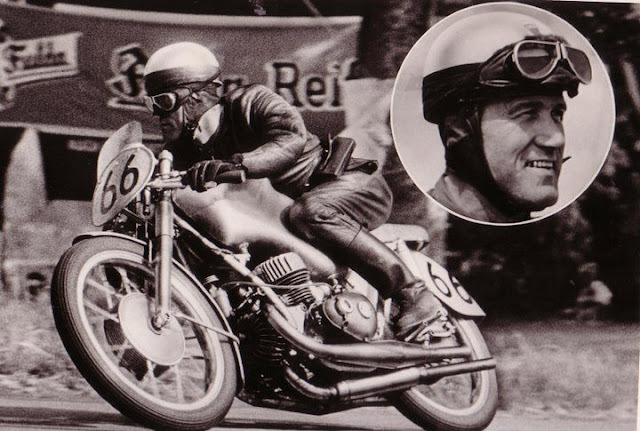 Known as 'Rudi Knees' on, he also raced his beloved 1939 350cc supercharged DKW, winning several races. 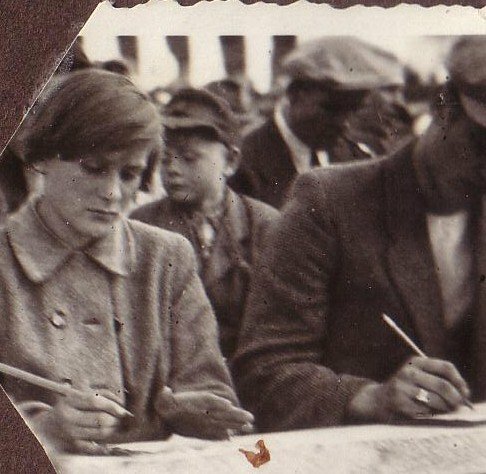 Rudi and his family started from scratch after the war but was keen to continue racing and wanted to compete in International events in mainland Europe. 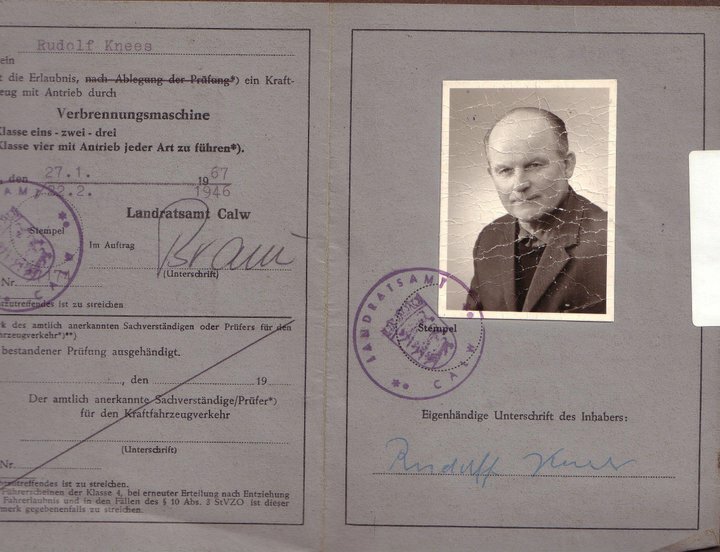 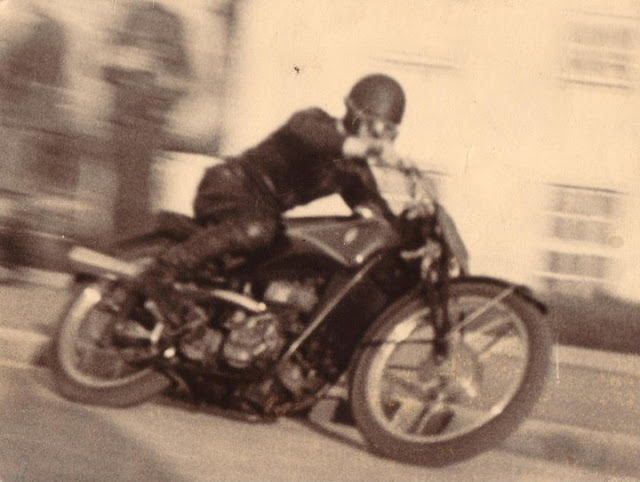 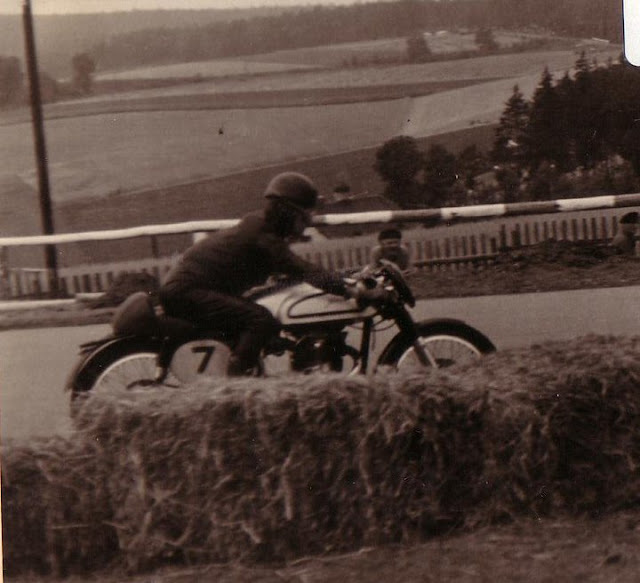 However, following the ban on forced-induction motorcycles, his supercharged DKW was ineligible. 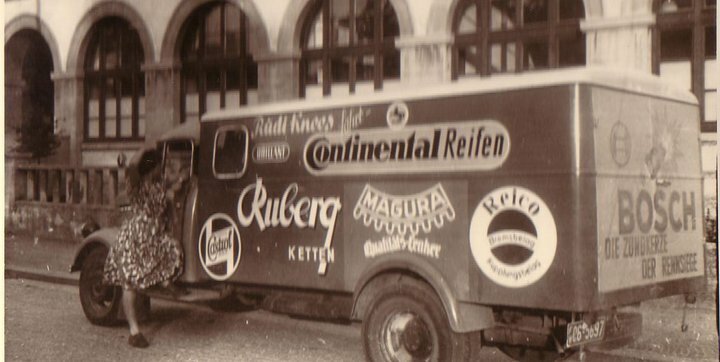 In 1949 Rudi confidently placed an advert in The MotorCycle magazine, looking to swap with his beloved DKW for a 'pukka racing job'. 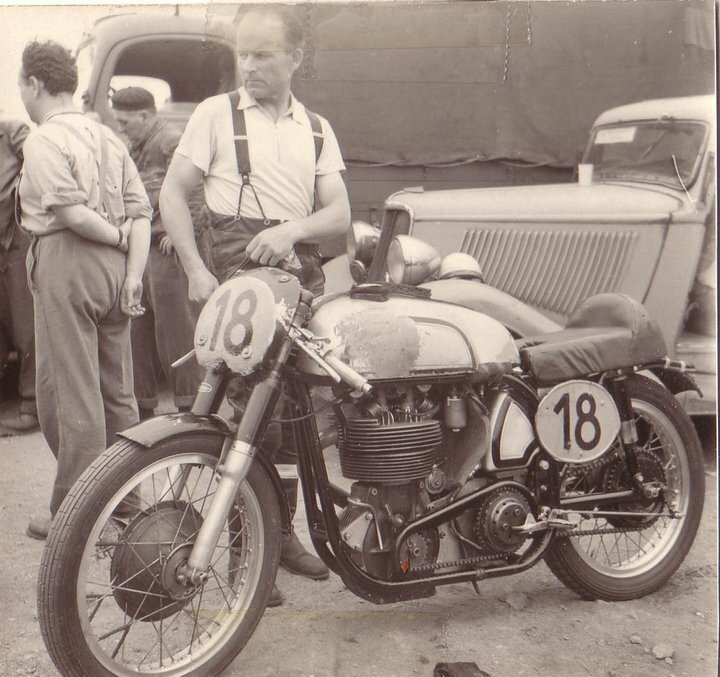 He listed: post-war KTT Velocette, Manx Norton, 7R AJS, or GP Triumph - machines worth considerably less than the DKW in today's money! 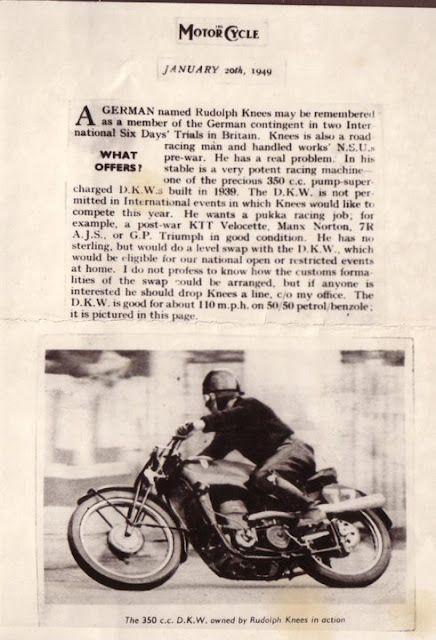 A copy of the advert Rudi placed in The MotorCycle magazine in 1949. 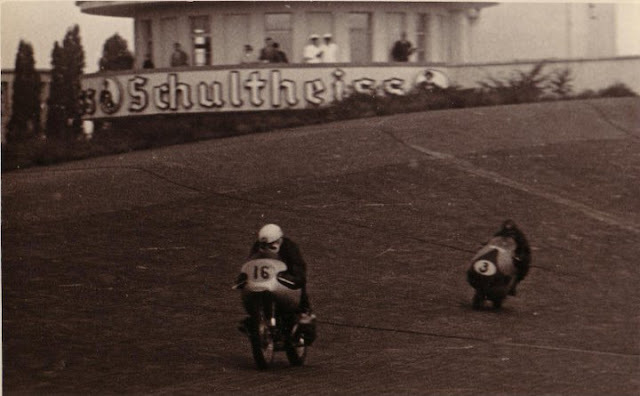 The advert continues, "The DKW is good for about 110mph on 50/50 petrol/benzole." There is evidence he swapped his DKW for a Manx Norton. 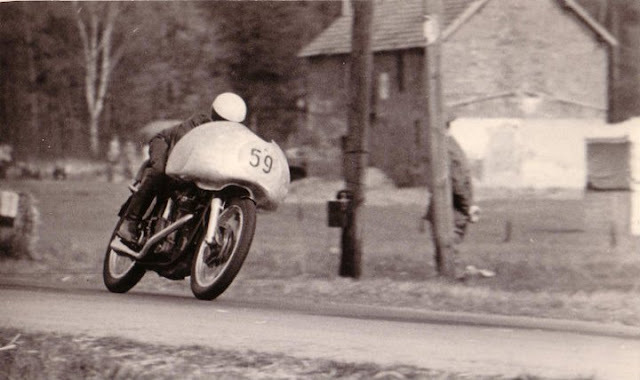 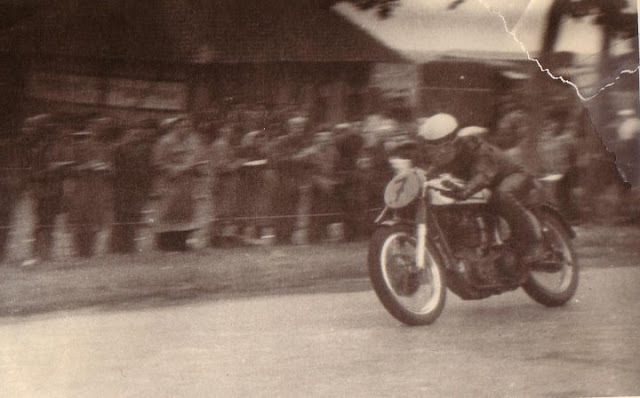 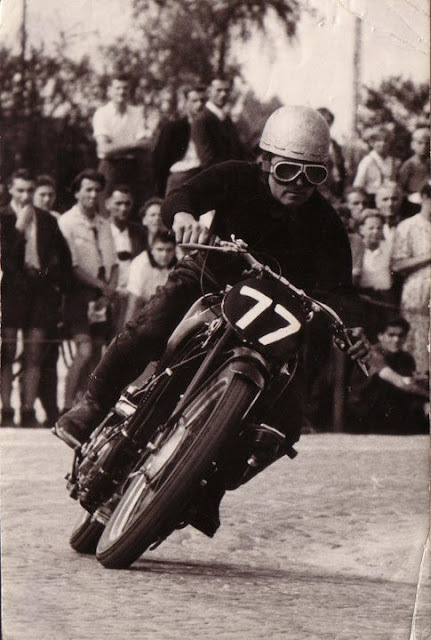 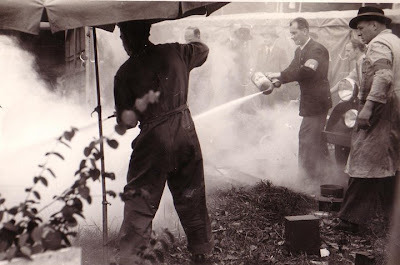 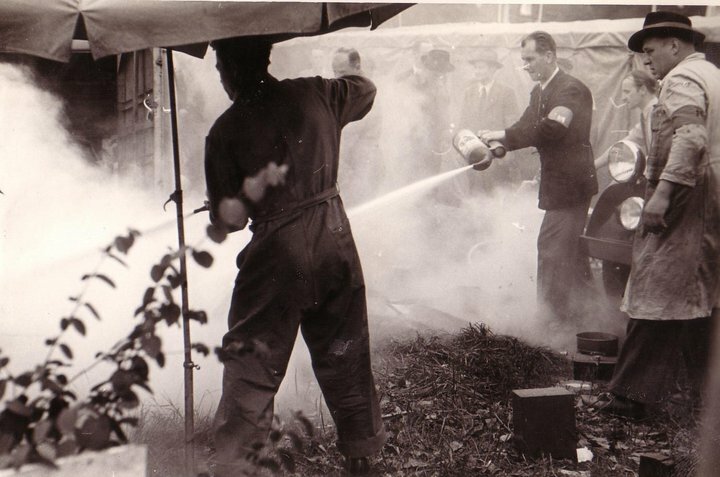 Rudi is shown handling his first Norton below. 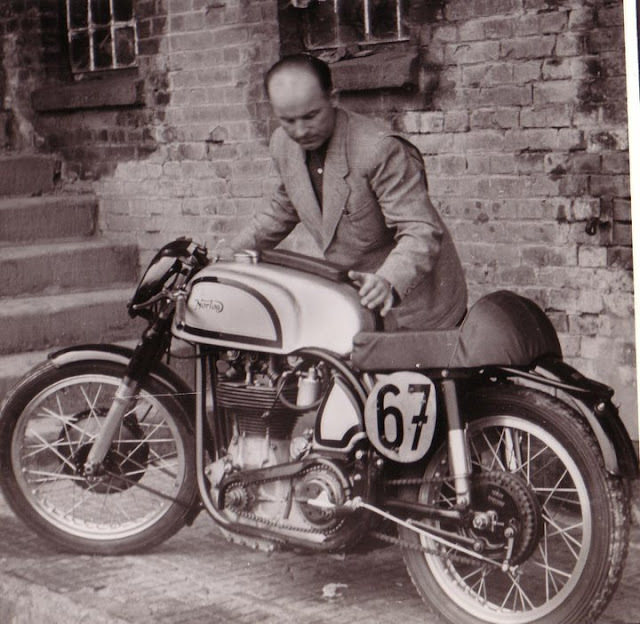 Rudi with his first Manx, a machine that cost him his DKW 350. 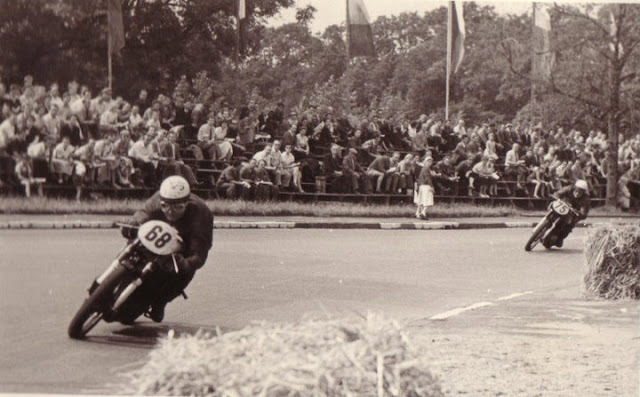 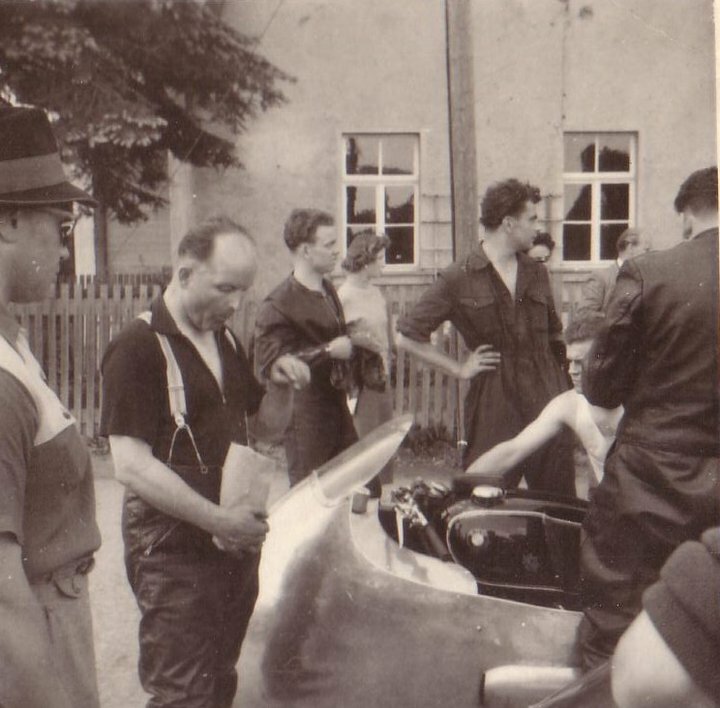 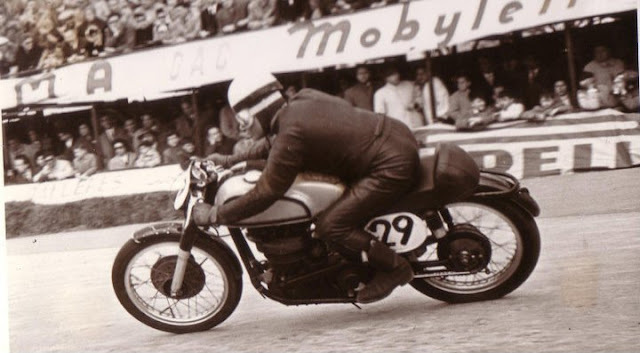 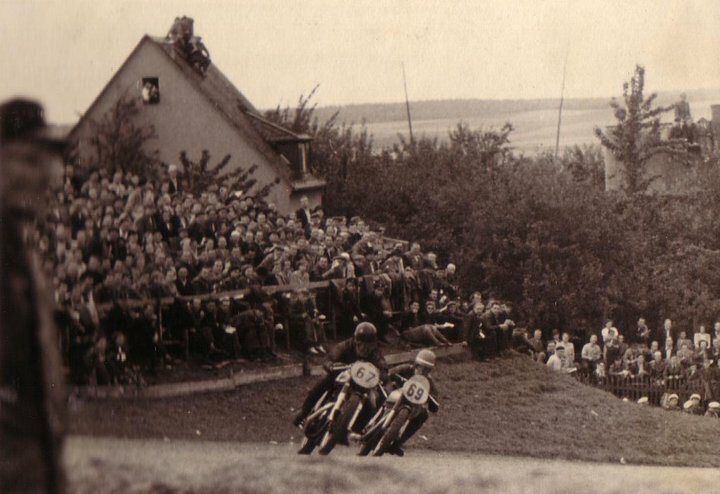 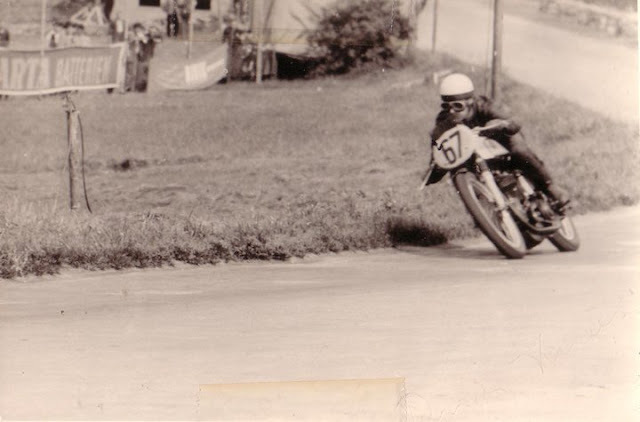 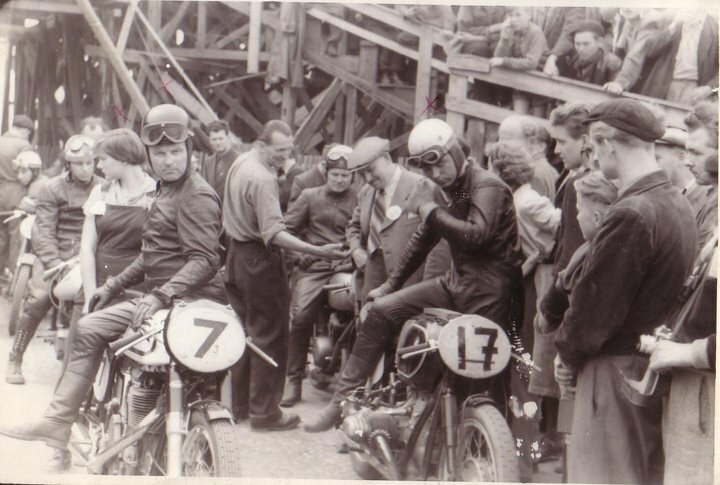 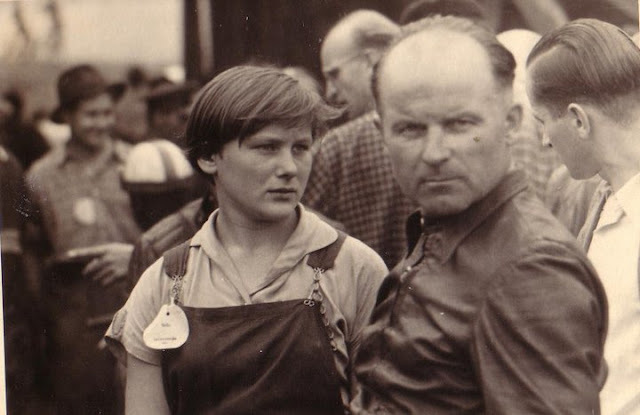 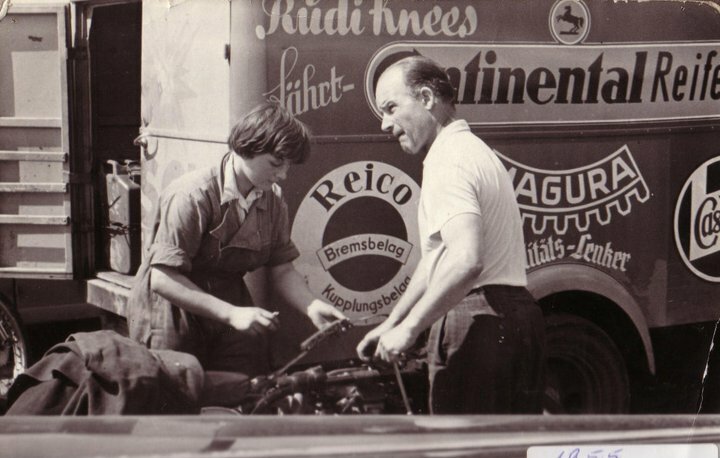 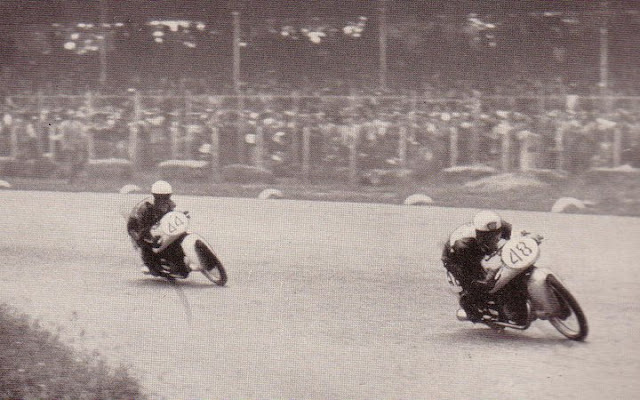 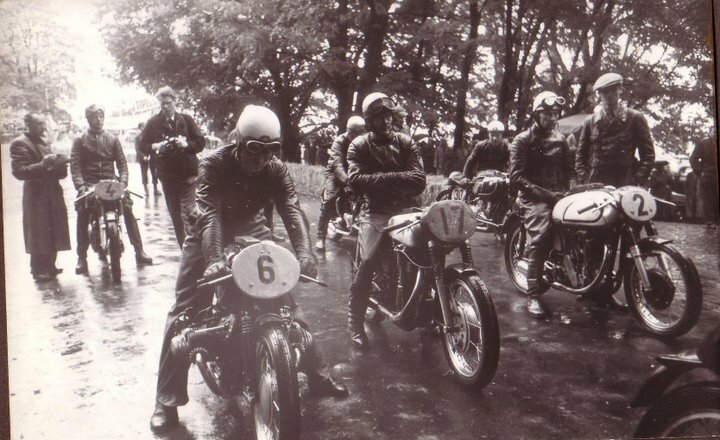 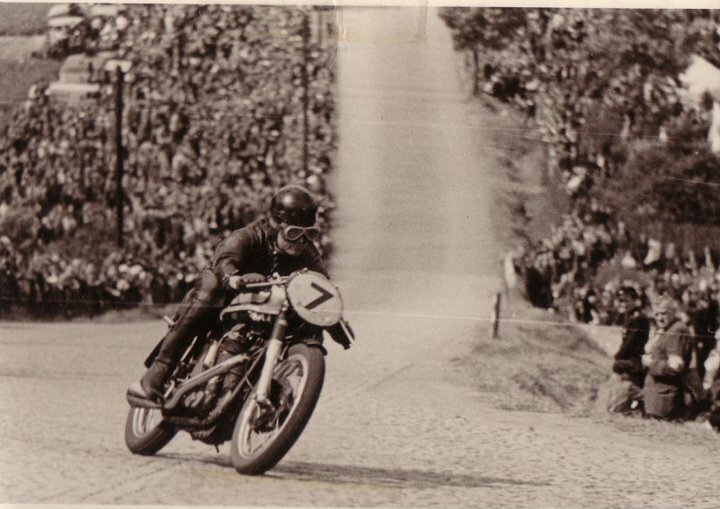 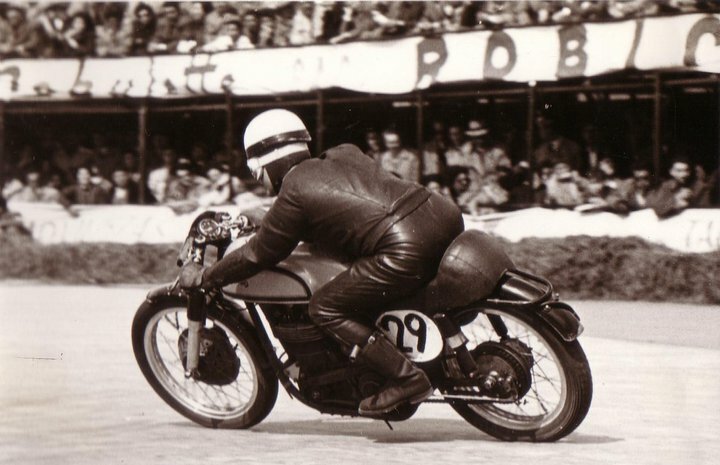 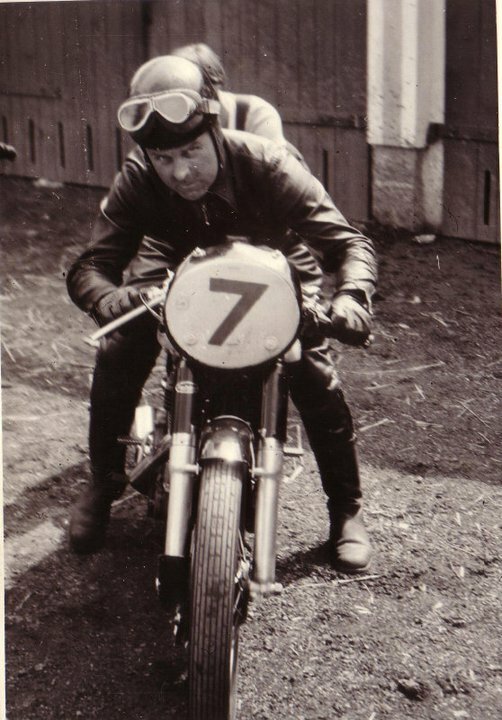 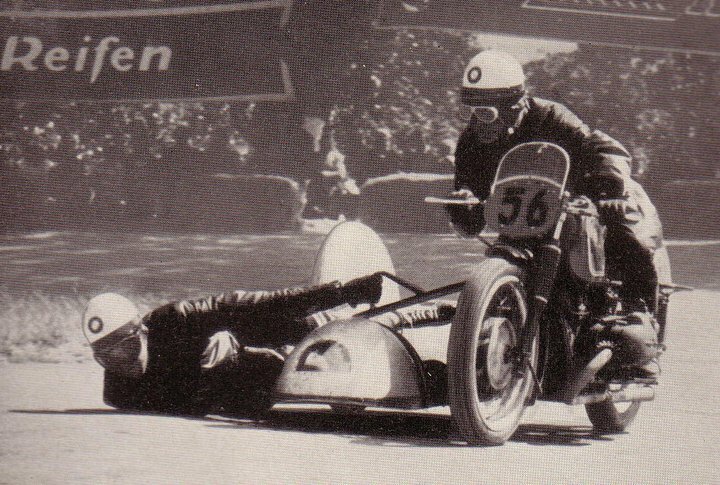 Rudi was racing sidecars with a passenger named Ziemer in 1950 at the Feldbergring in Germany. 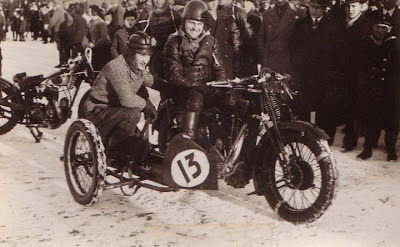 He also tried his hand at ice racing, again as the rider of a sidecar outfit. 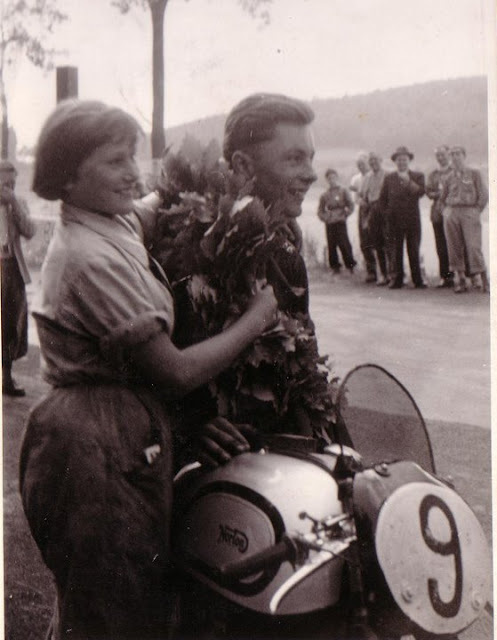 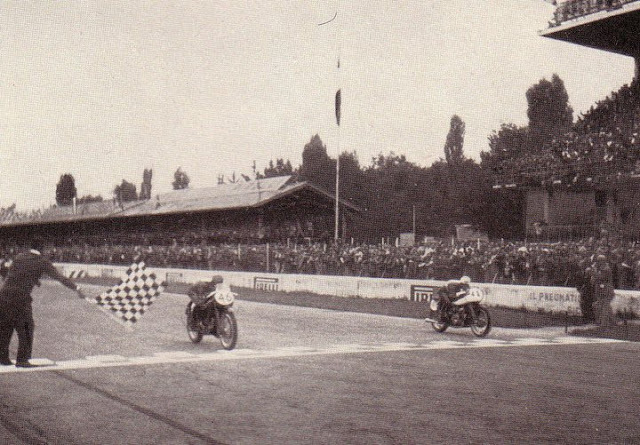 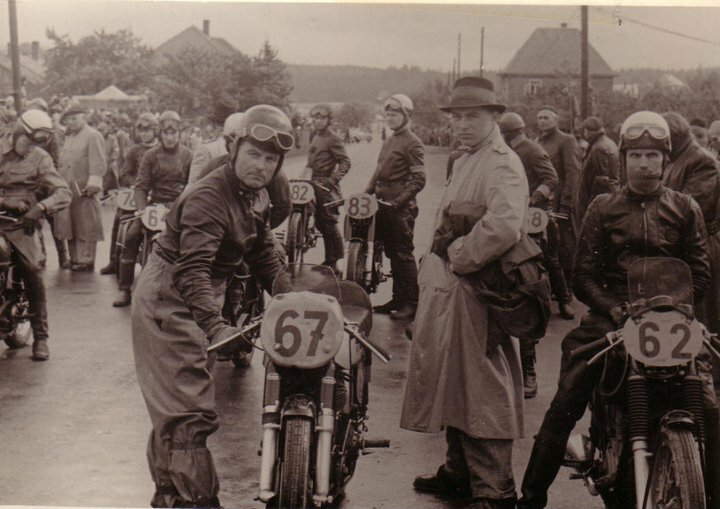 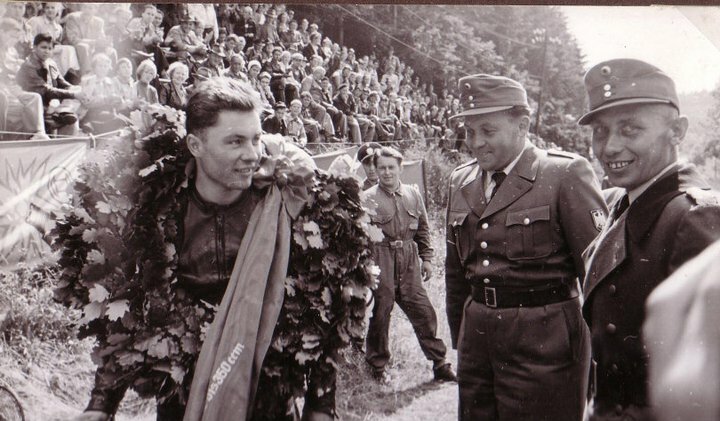 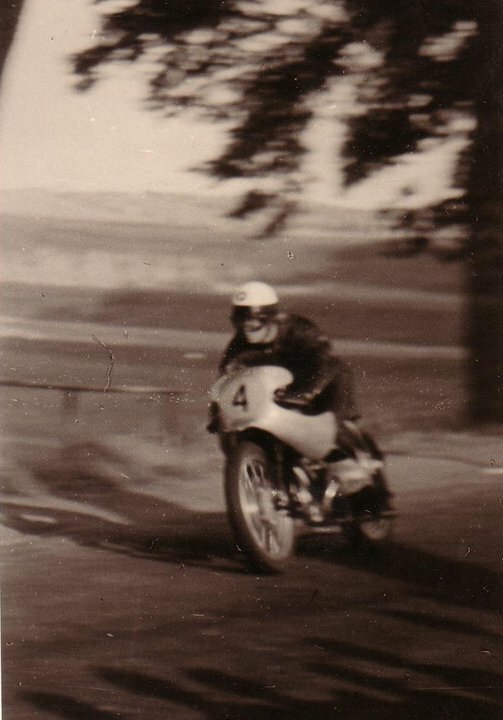 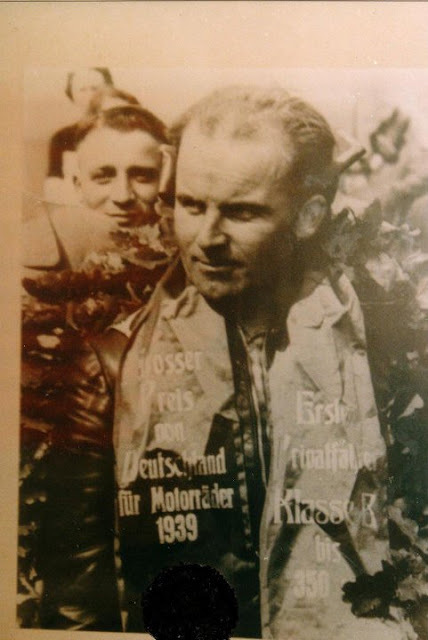 In the same year, there is also evidence that he finished second behind Heiner Fleischmann (NSU-Kompressor) riding a 350cc AJS at Feldberg. 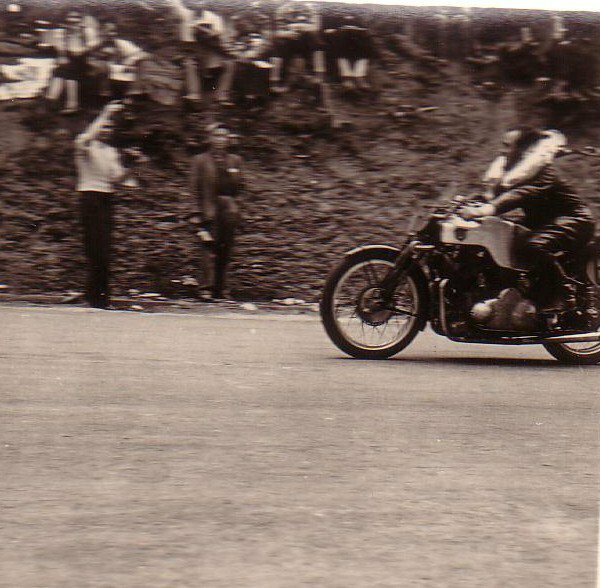 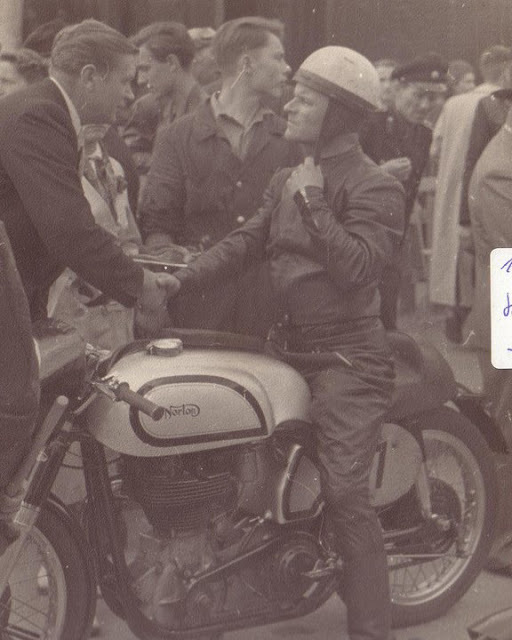 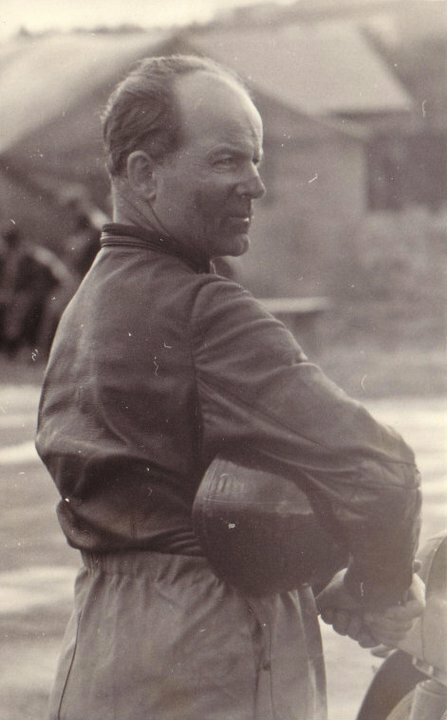 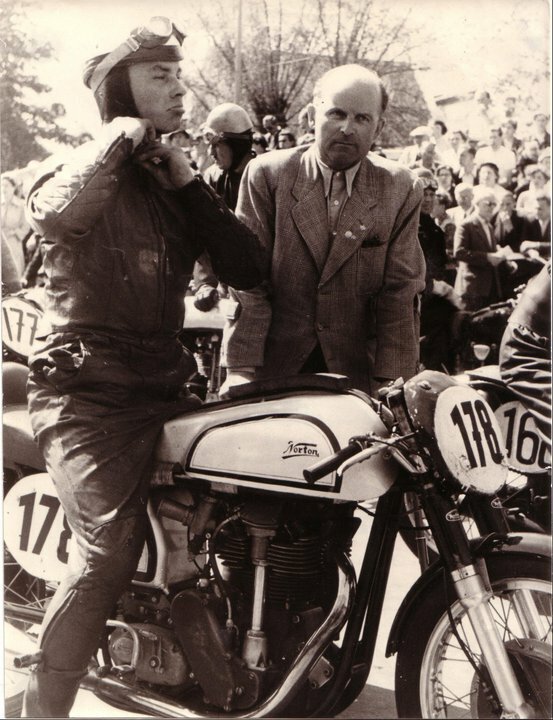 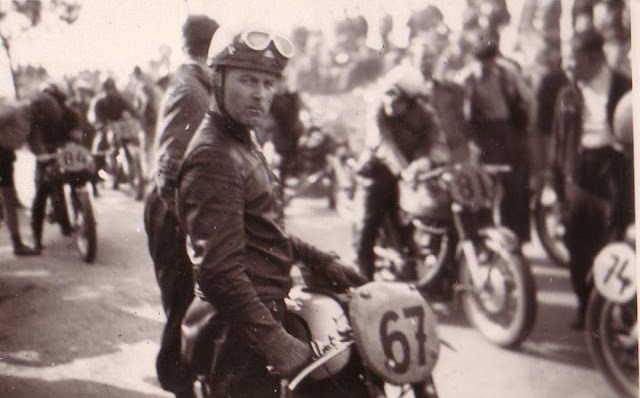 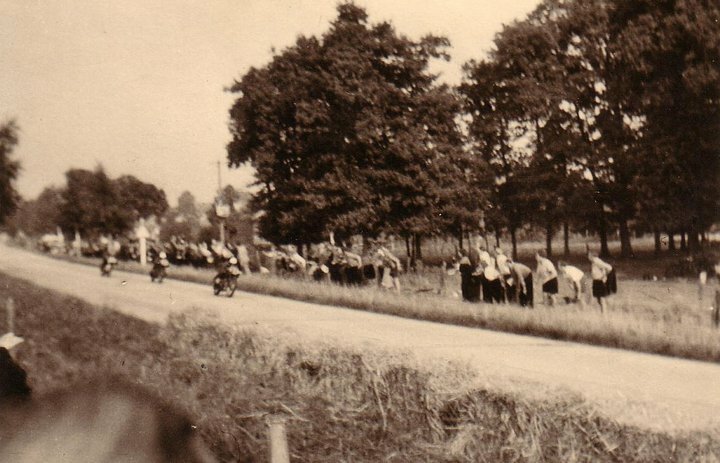 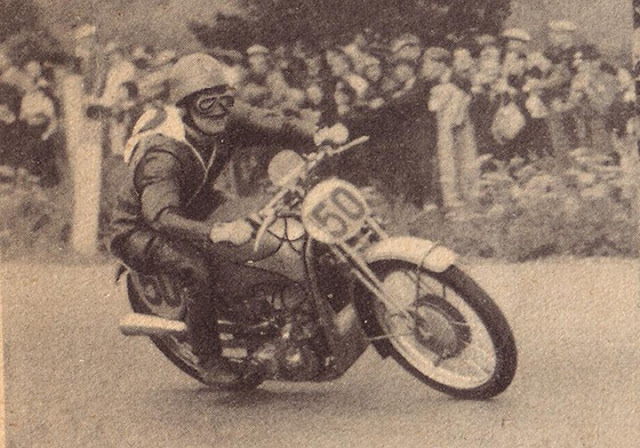 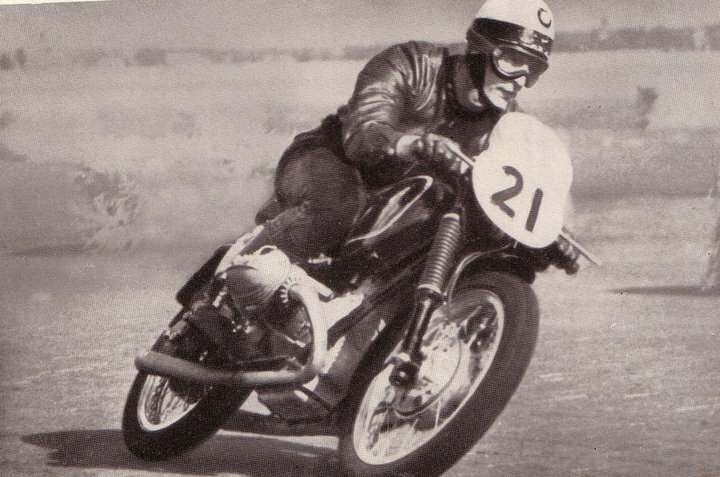 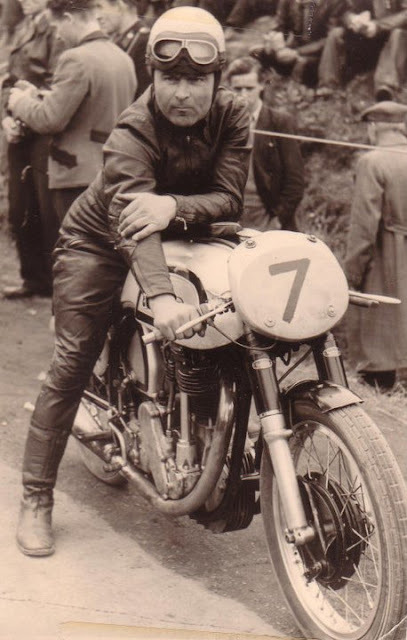 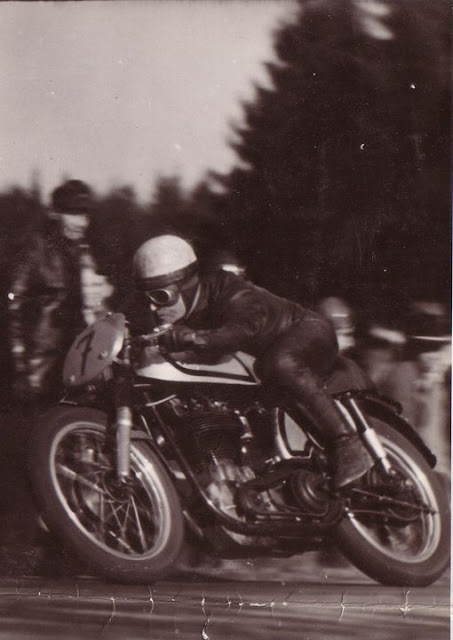 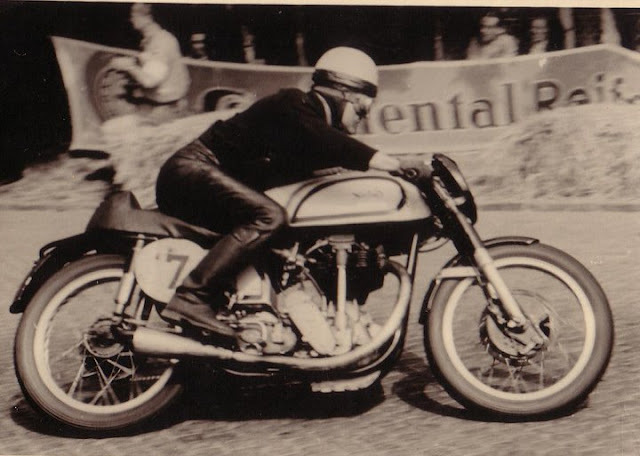 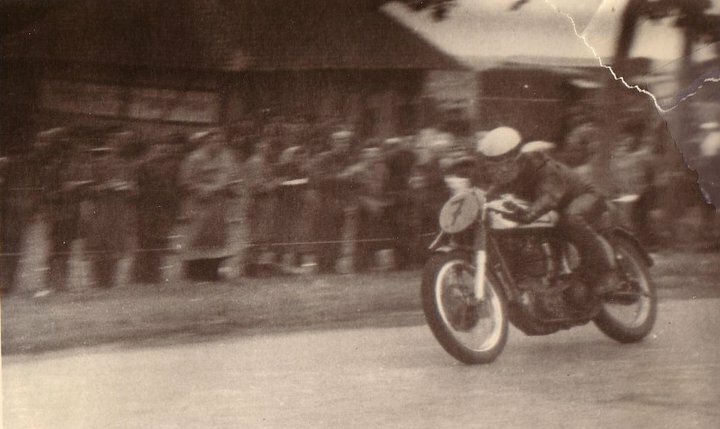 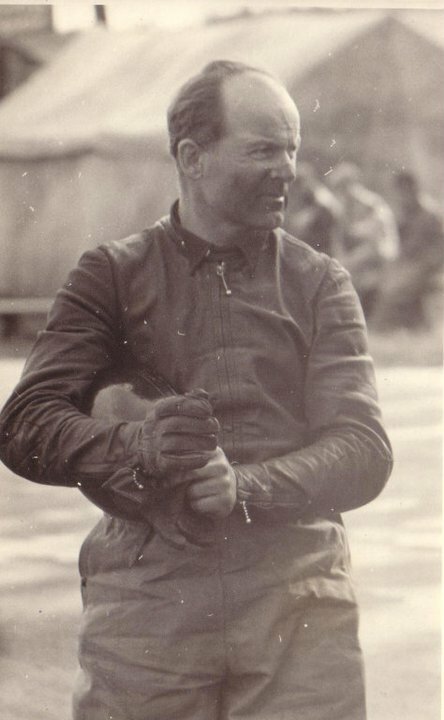 By 1952 Knees was one of the top riders, riding both 350 and 500 Manx Nortons, finishing second and first in that year's Feldbergrennen cup race. 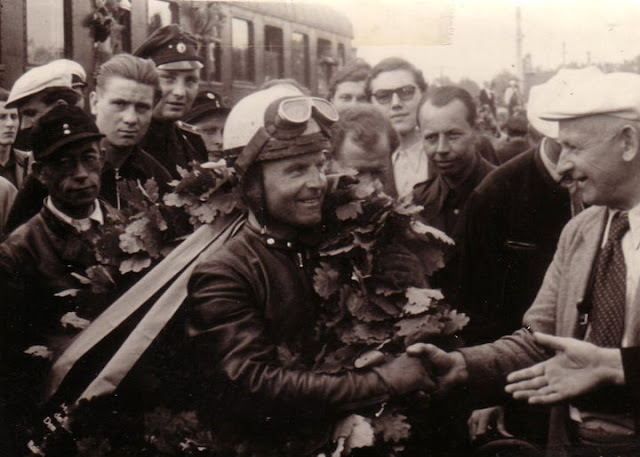 That year, he also went on to become German Champion in the 500cc class. 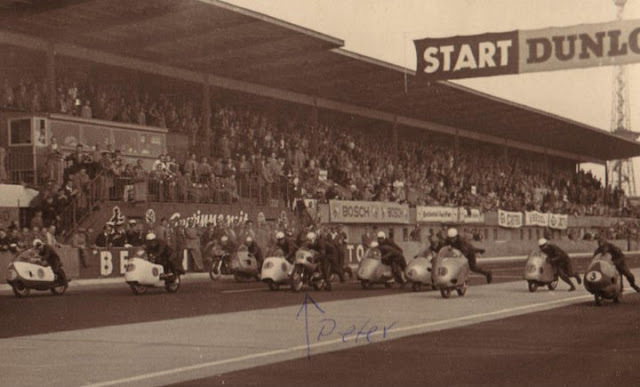 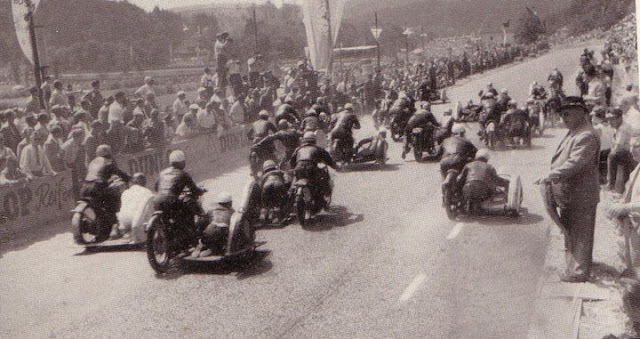 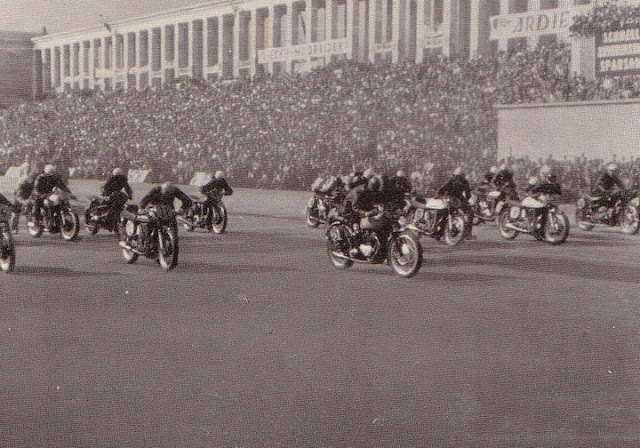 Knees continued to race in Europe with various amounts of success up to around 1960, competing all over Germany, Czechoslovakia (then CSSR) and in Barcelona. 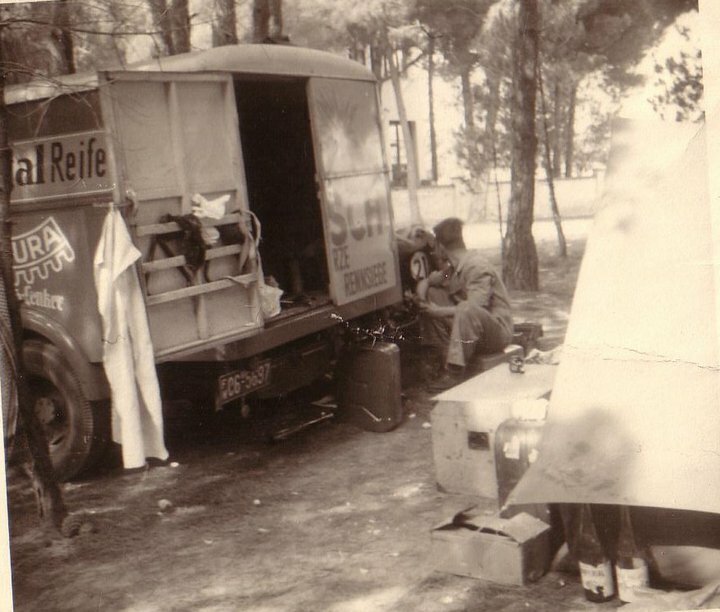 His transport was in the form of a race truck, shown in the photograph below. 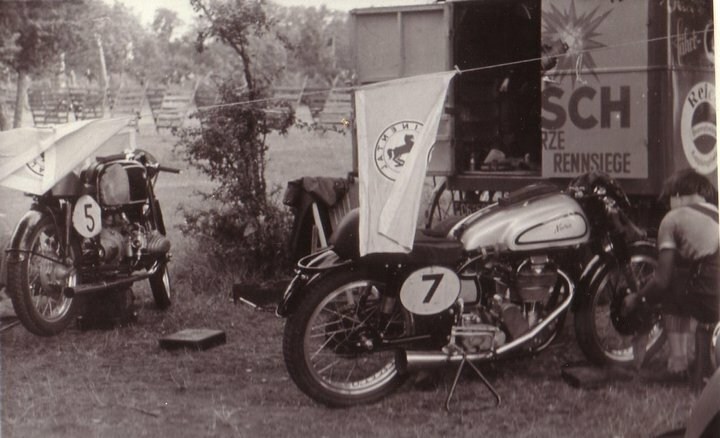 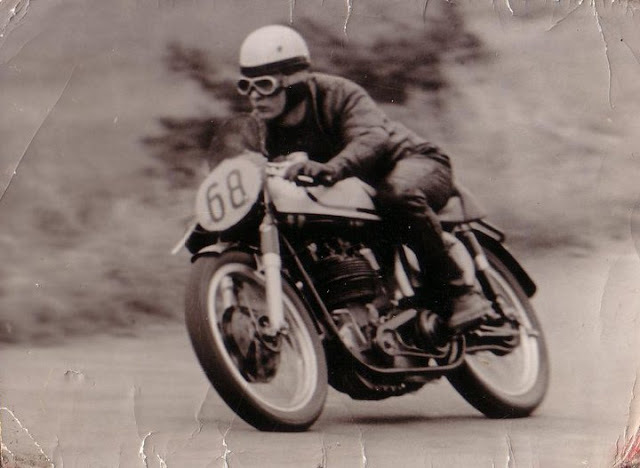 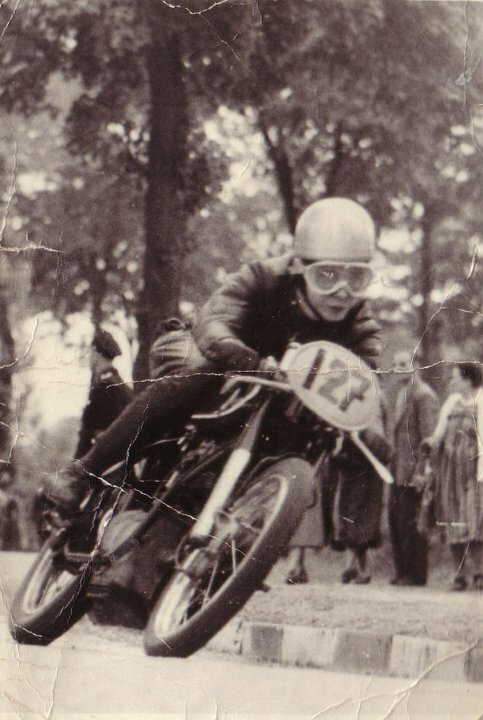 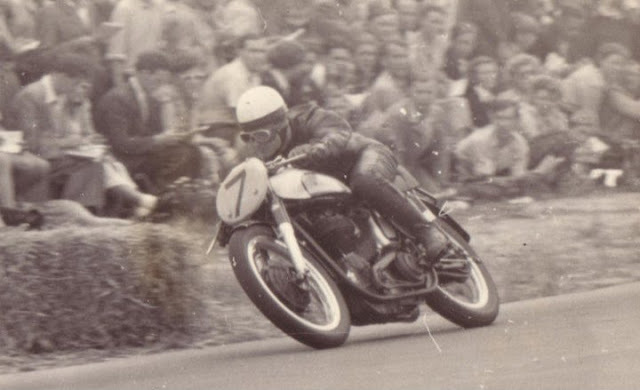 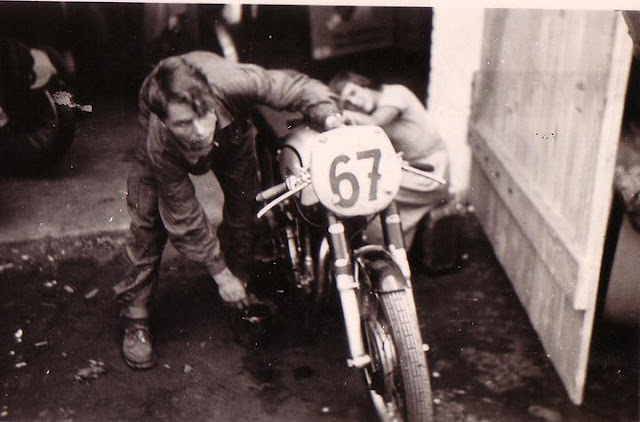 During his many races he was joined by his son Peter Knees - who campaigned a mid-fifties BMW, and his daughter Christa, who was her father's travelling Norton mechanic. 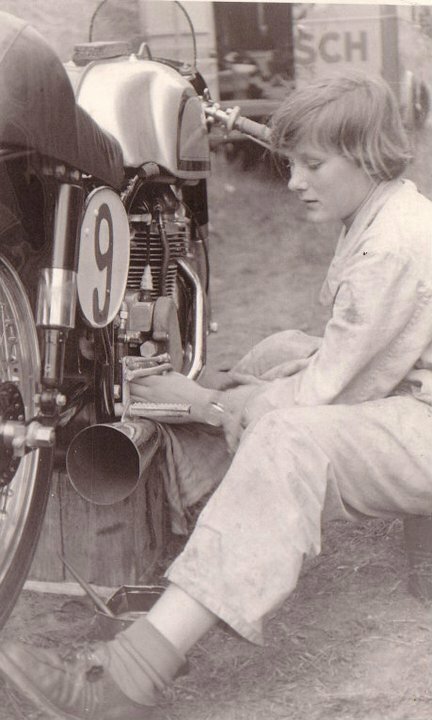 She wasn't allowed to work on the BMW, but remembers her father's Norton well and still knows lots about the engine. 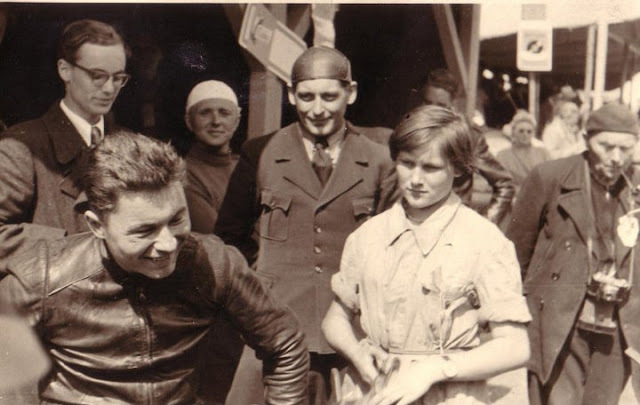 Both Peter and Christa feature heavily in the photos. 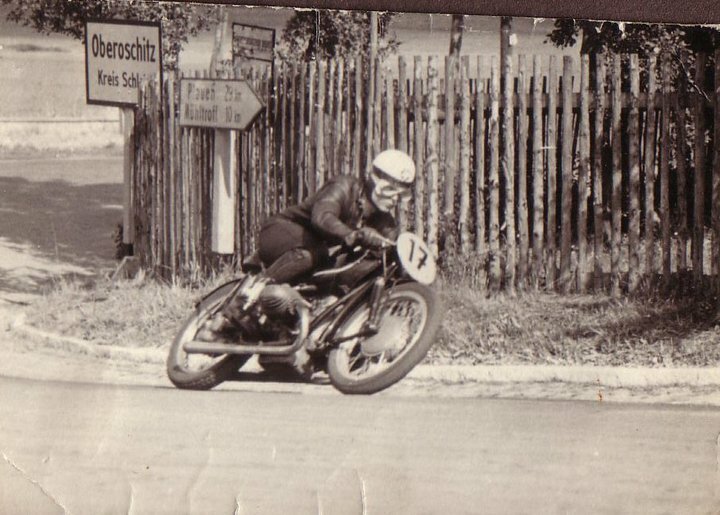 Peter is seen riding a racing BMW in numerous shots. 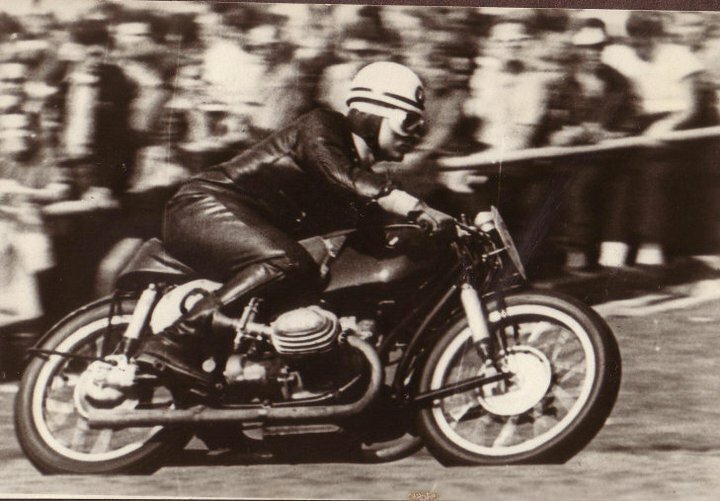 According to Christa, she did once ride her Dad's Norton, when his back was turned. 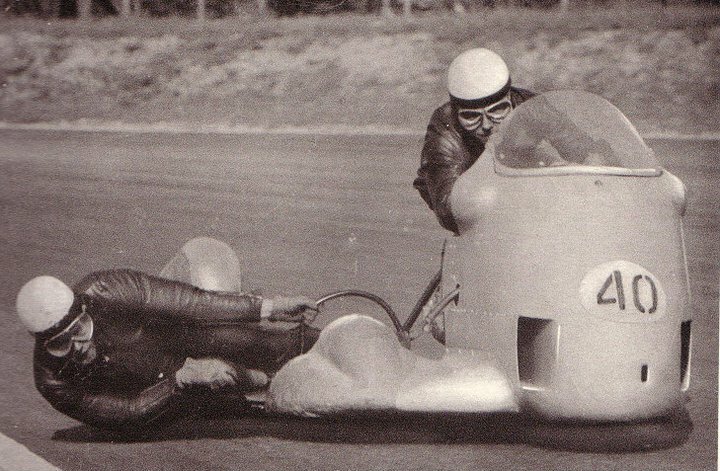 He noticed and shouted at her, but then turned to the other racers and smiled 'brightly'. I discovered this story through an online acquaintance Mike Muller, who was fortunate enough to meet Christa, now a lady in her late 70s. 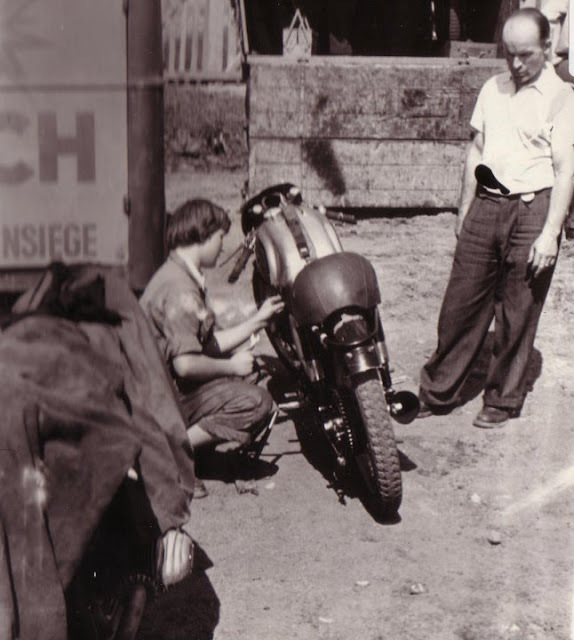 Christa provided the photos from her own personal album. 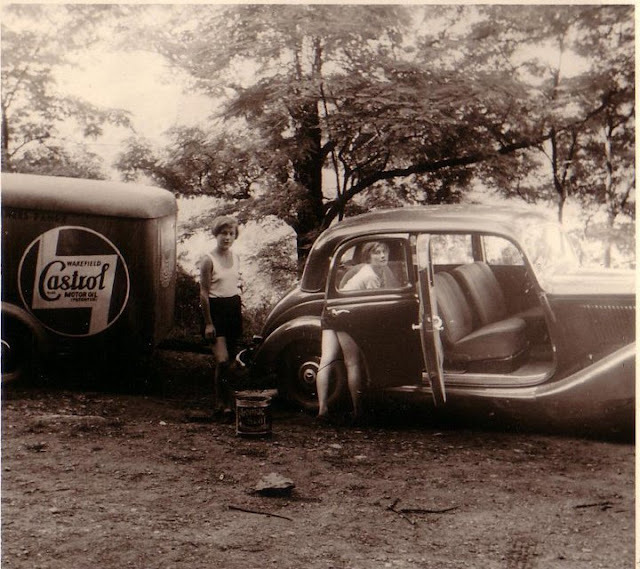 My thanks goes to Mike and Christa for making this post possible. 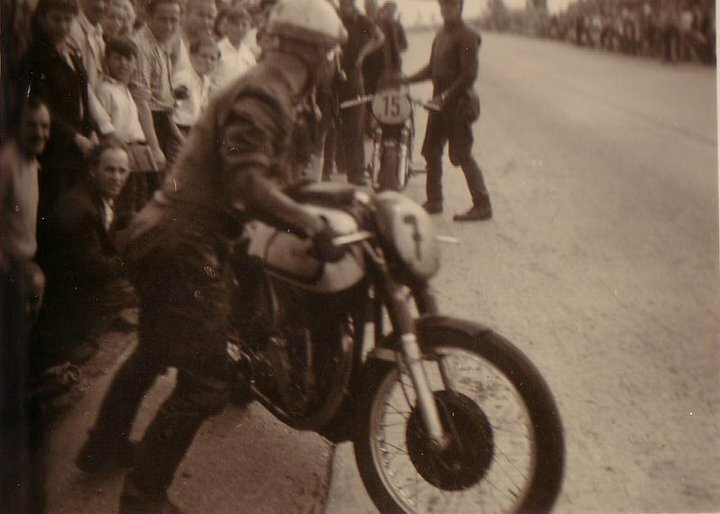 Almost all the images are previously unseen. 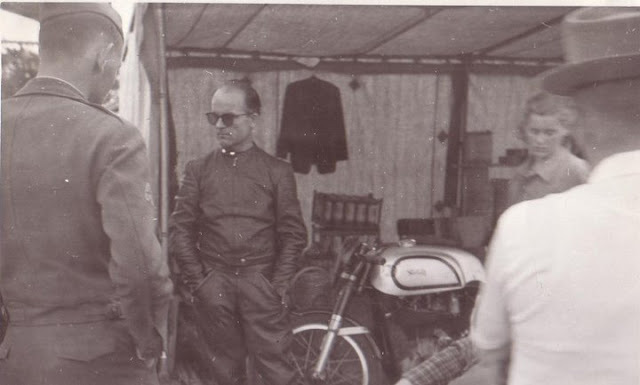 I hope you enjoy the gallery. 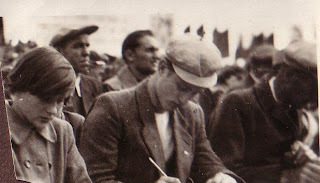 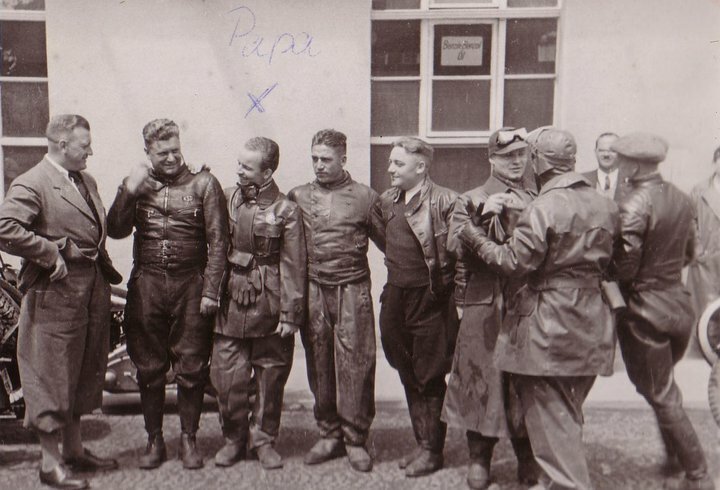 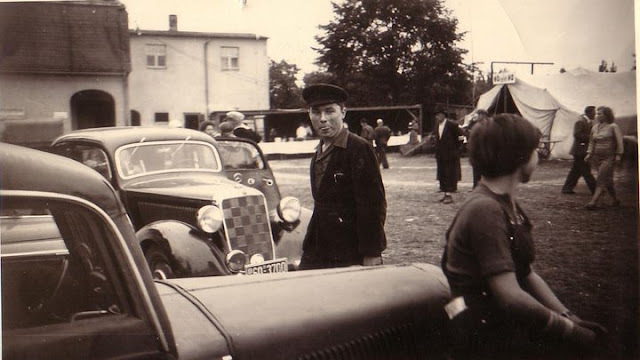 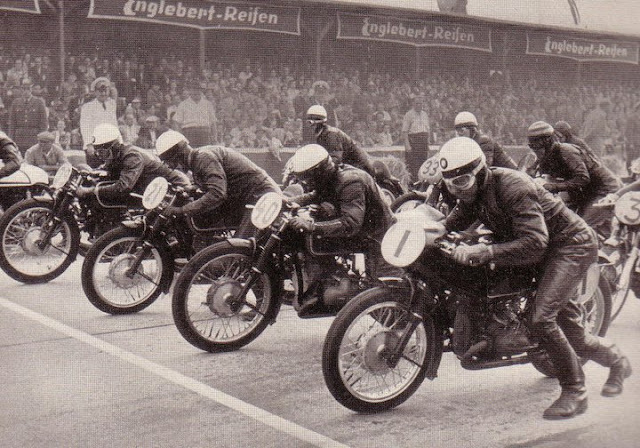 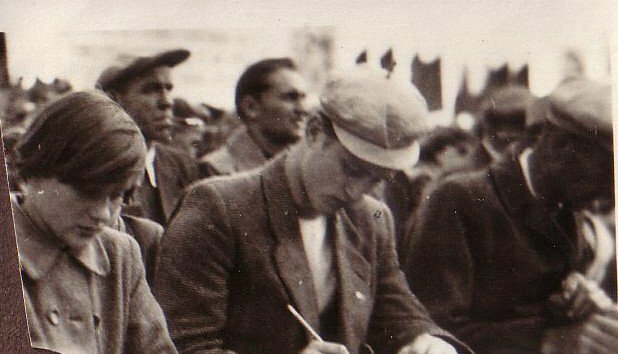 Photo taken before WWII when Rudi was part of the NSU racing team. 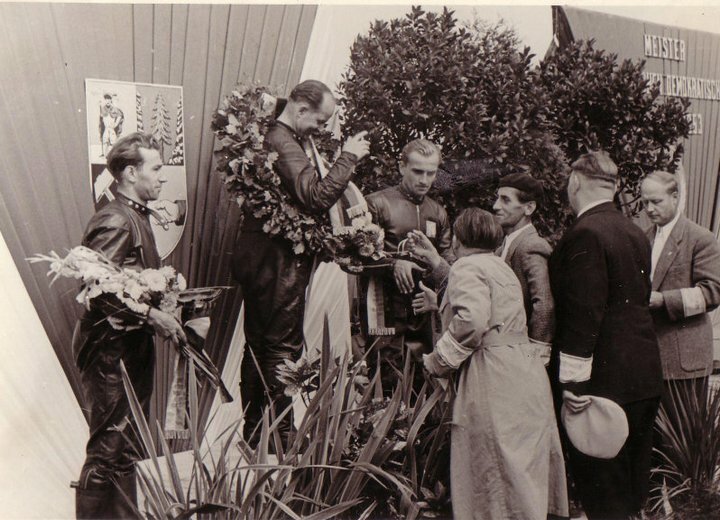 Peter Kness with the winner's reef. Here Rudi had a broken leg and Christa was allowed to push him in this race.